We specialize in individual, family and group transport for leisure or business in Poland. We offer full transport service includes door-to-door city , airports, train stations or any destination transfers in south of Poland. Our transfer service is available from most of the Polish cities: Oswiecim, Auschwitz, Krakow Balice airport, Katowice Pyrzowice airport, Bielsko Biala, Zakopane, Sosnowiec, Wroclaw, Warsaw ect. Professional and highly qualified English speaking chauffeur will wait for you at terminal ,platform or hotel lobby assist with your luggage. 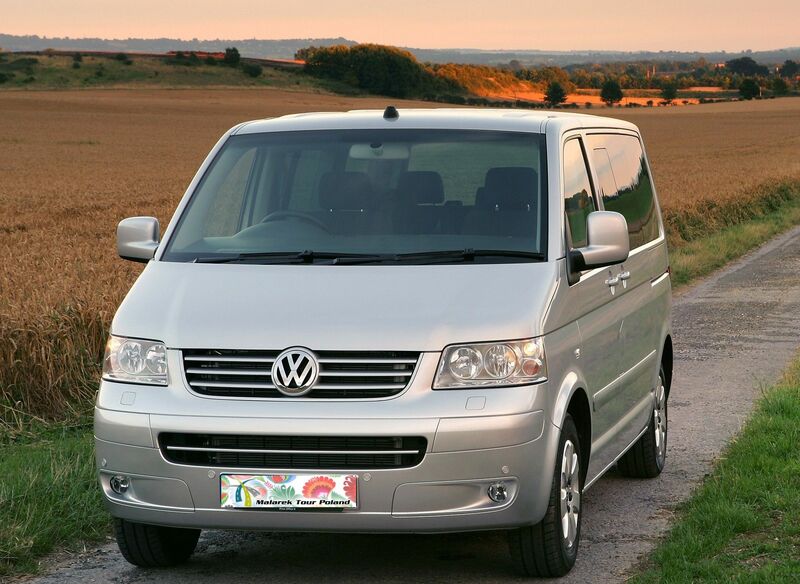 Our fleet is air-conditioned Volkswagen vans up to 8 passengers with large luggage place which makes travel very comfortable on short or long distances transfers. Dedicated travel support from the moment you start the trip to the moment you board your plane and leave for home. We provides top quality service and we take the extra effort necessary to ensure that every ride is met with complete satisfaction. Our clients always come first, and we are dedicated to giving responsive service to each and every one as well as providing the finest tourism transportation in Poland.